The premiere of WONDER PARK was held in Los Angeles on March 10, at the Regent Village Theater in Westwood, CA. 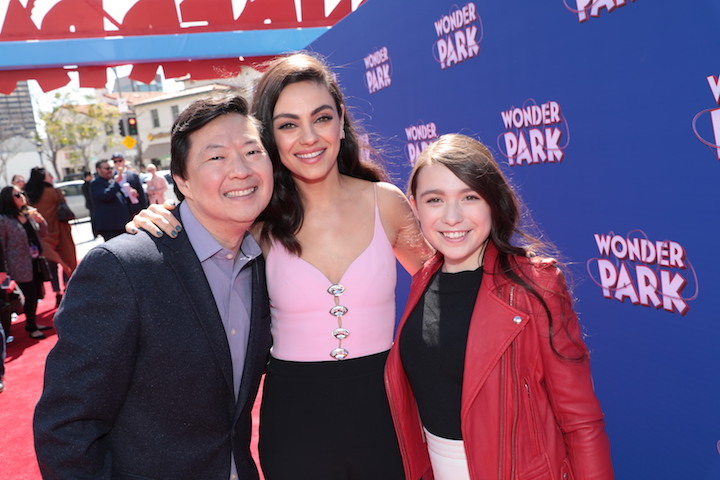 Attendees included WONDER PARK stars Mila Kunis, Kim Jeong, and Ken Hudson Campbell. Celebrities who came out to support the film included “Star” actor Lance Gross and his daughter Berkeley Brynn Gross and REVOLT host DJ Damage and his son Legend. The film stars Jennifer Garner, Matthew Broderick, John Oliver, Mila Kunis, Kenan Thompson, Ken Jeong, Norbert Leo Butz, Brianna Denski and Ken Hudson Campbell. WONDER PARK is out in theaters this Friday, March 15. Also, check out the website for more information as well as via social media on Facebook, Instagram, and Twitter.